This evening we invite you to soulful singing and intense playing. 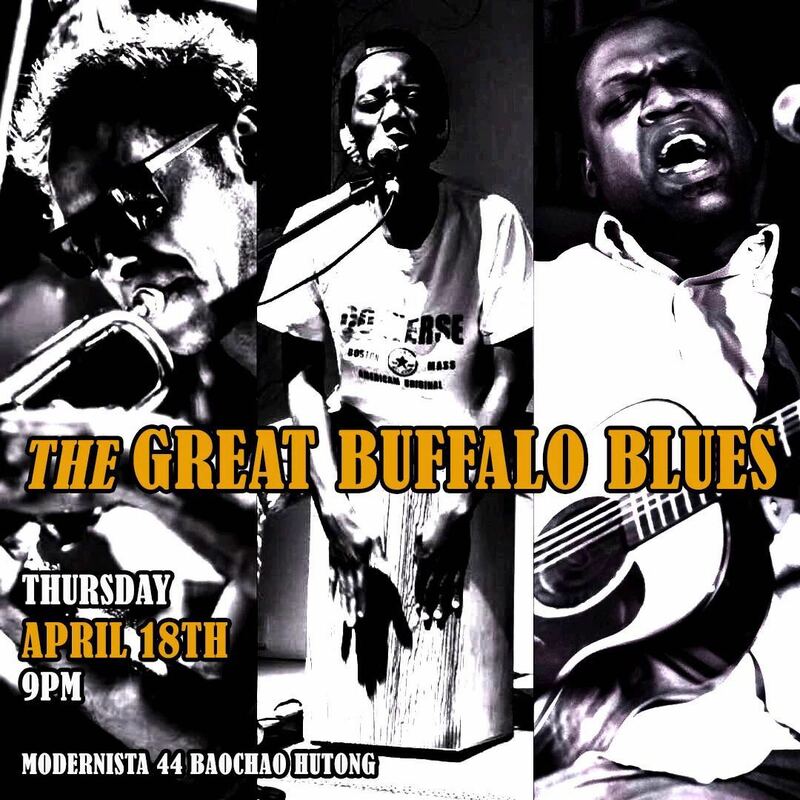 It is time for The Great Buffalo Blues to slow us down with their sincere and heartfelt compositions combining strong vocals with the rhythmic beating of a drum, the passionate playing of an acoustic guitar and the fierce sound of a trumpet making way. Get ready to for their soulful sounds, this Thursday evening 10PM. The trio began with two players who just wanted to write and play songs that told the true stories. Dooder brought his cajon, his guitar and his soul man style. Kamau brought his guitar and vocals. Together, the duo started crafting songs that weaved funk rhythms and blues to bring to stage songs like "If I Told You I loved You," "Dream Song," "7th Floor," and "While We Were Sleeping." With the addition of a trumpet, they merge soul, blues, acoustic funk, gospel, and a touch of jazz improvisation into a single performance that is soulful and intimate. Is it possible?